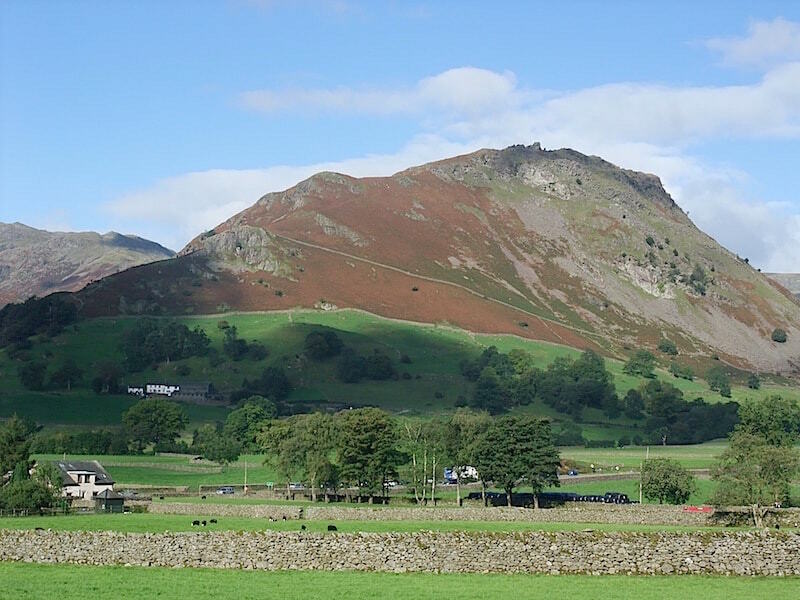 A view of Helm Crag from the lane behind the Swan Inn at Grasmere. 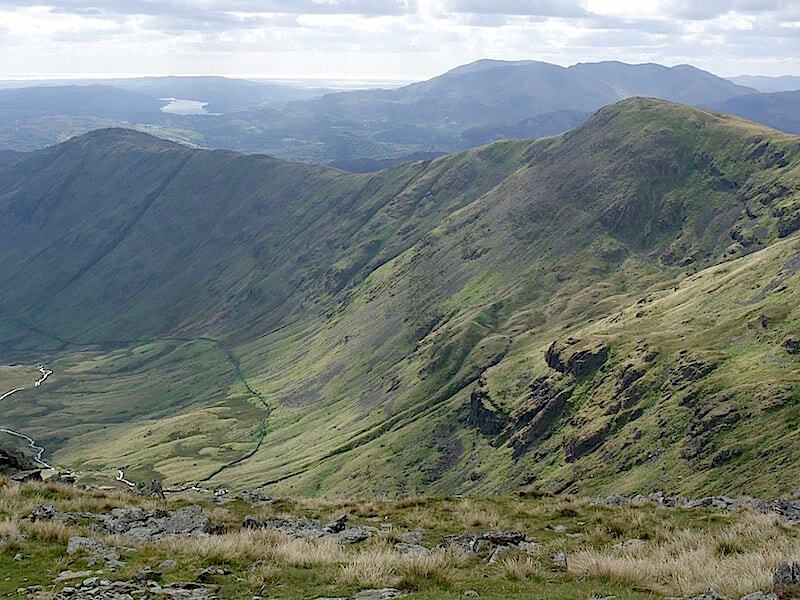 We’re walking a section of the Fairfield Horseshoe today, starting from here and first going up to Stone Arthur. 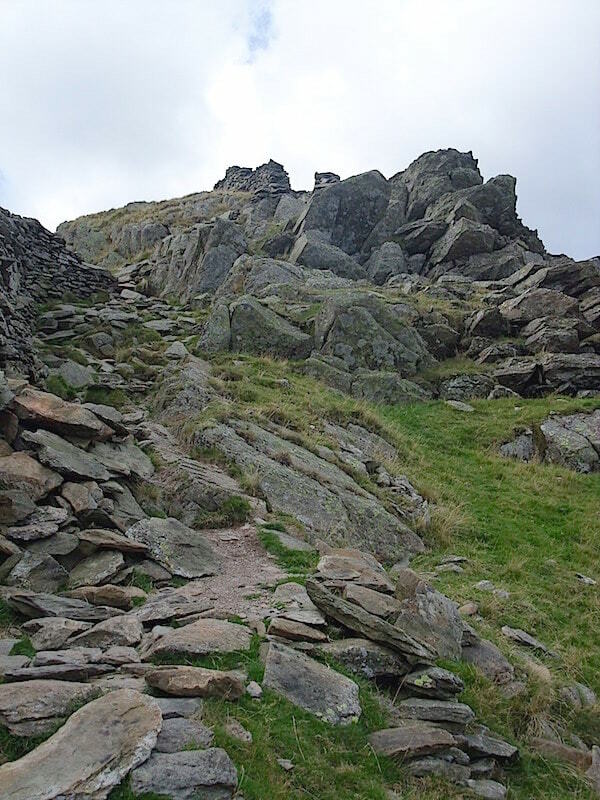 From there we will continue up to Great Rigg where we will join the horseshoe route. 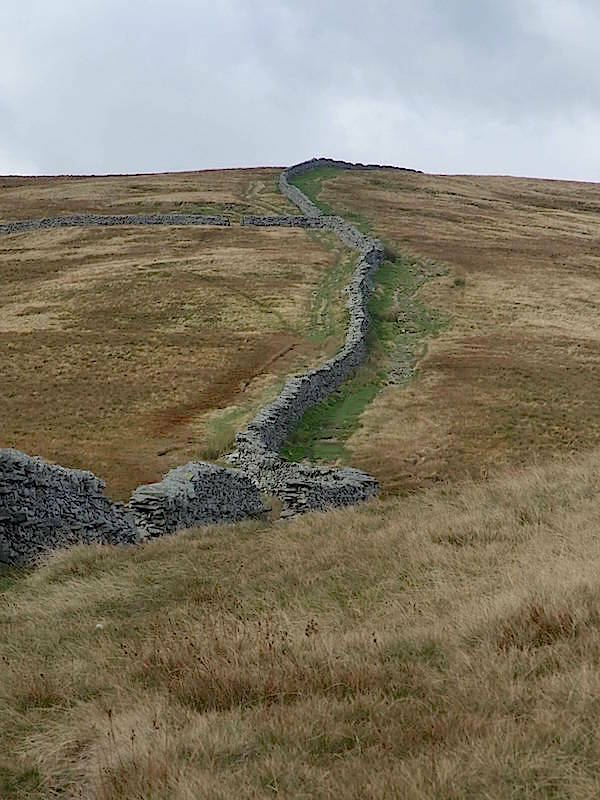 This will mean missing out Nab Scar and Heron Pike which form part of one side of the horseshoe but we’ve across them before so we’re giving them a miss today. 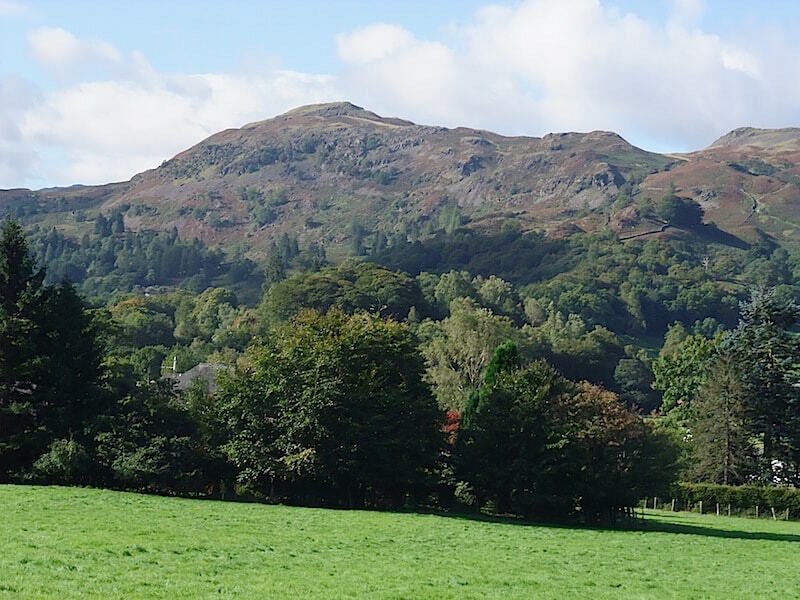 Another couple of shots from the same place while I wait for my driver to put his boots on, this is Silver Howe and part of Grasmere village …..
….. and here’s Loughrigg. Its a dry, bright morning so conditions are looking good, let’s hope it lasts. From the lane where we parked a narrow tarmac road rises alongside Greenhead Gill and ends at a gate. Through the gate we stay left of the beck for the path up to Stone Arthur. 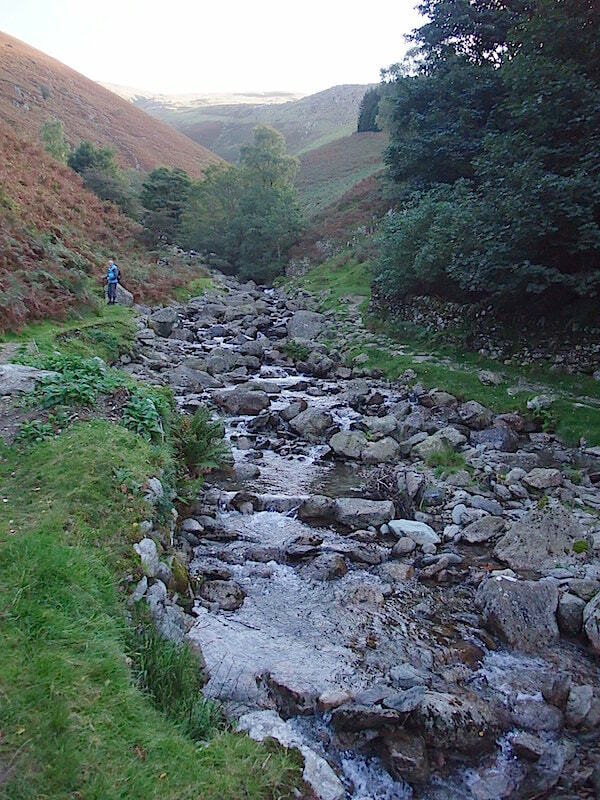 The path across the beck leads up to Alcock Tarn. 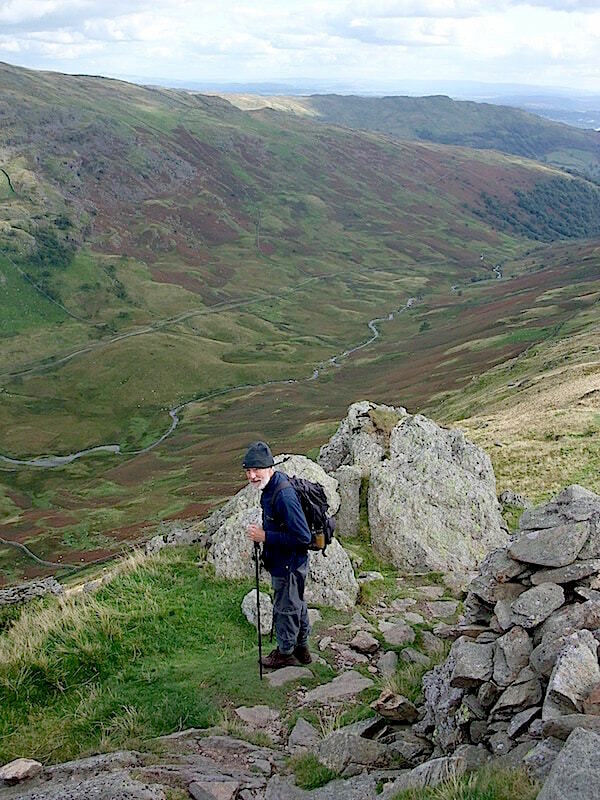 The view over to Grasmere and the surrounding fells as we climb the path. The bracken is dying back so its not being the nuisance it usually is. 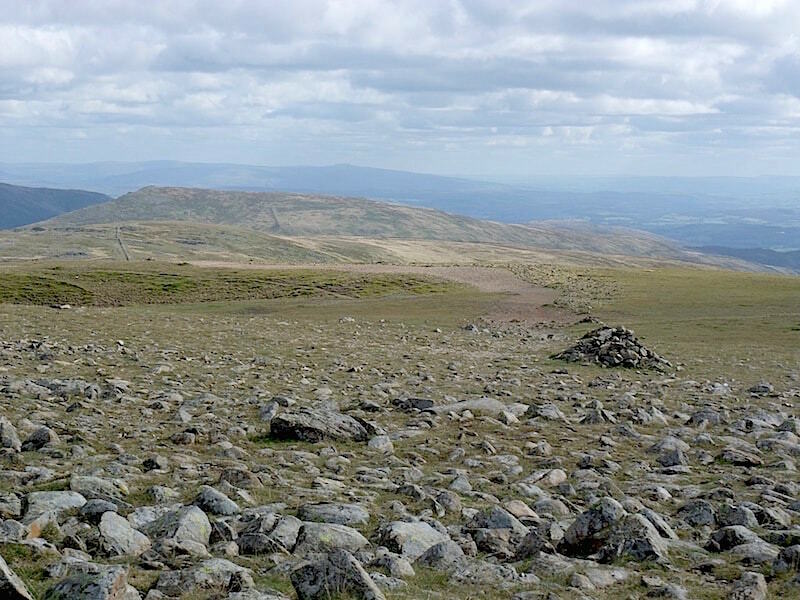 We’ve traversed the lower sides of the fell and now we are about to head due north up to Stone Arthur. 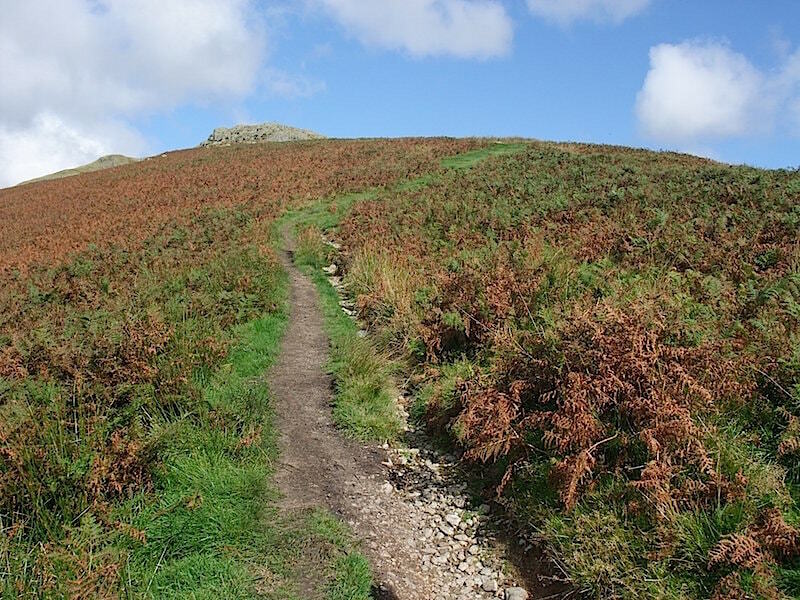 You can see what I mean about the bracken, although it doesn’t get in the way as much along here as this path is a bit wider than the one we have just been climbing. 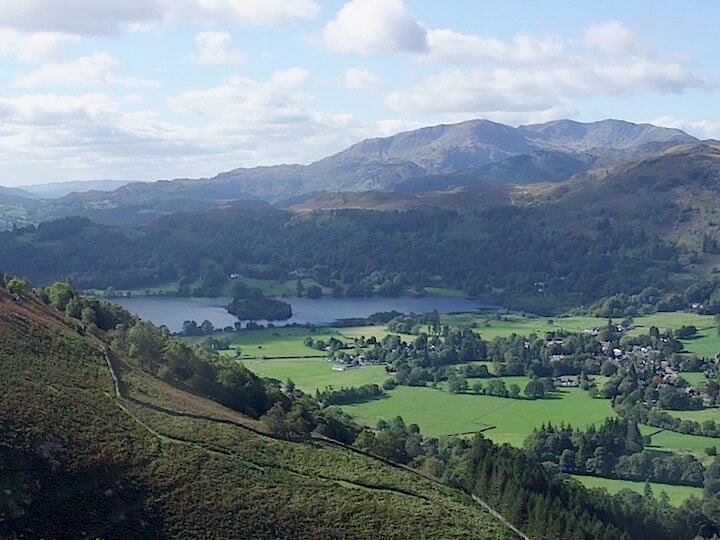 Grasmere and the Coniston fells from higher up the Stone Arthur path. 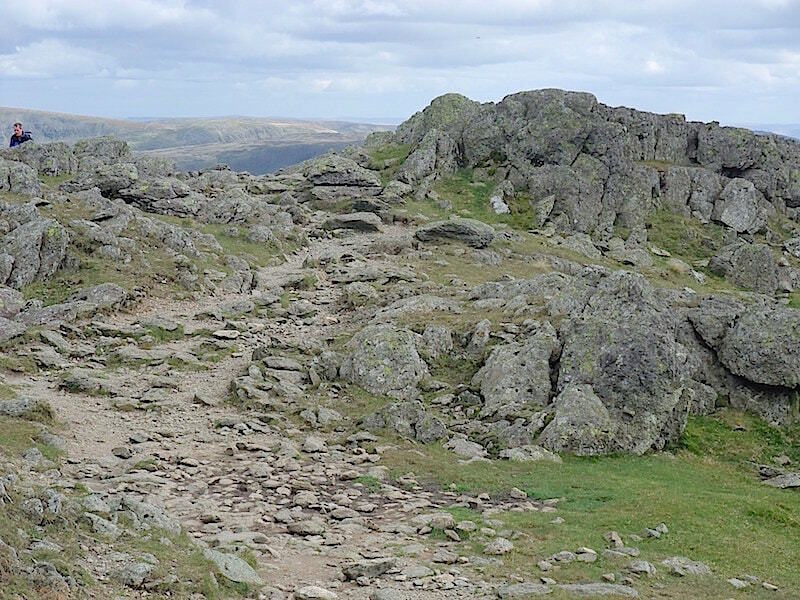 The path below is the one which comes up from the right hand side of Greenhead Gill to Alcock Tarn. Nearing the top of Stone Arthur, a layer had to come off walking up here, it was warm work with the sun directly on our backs. 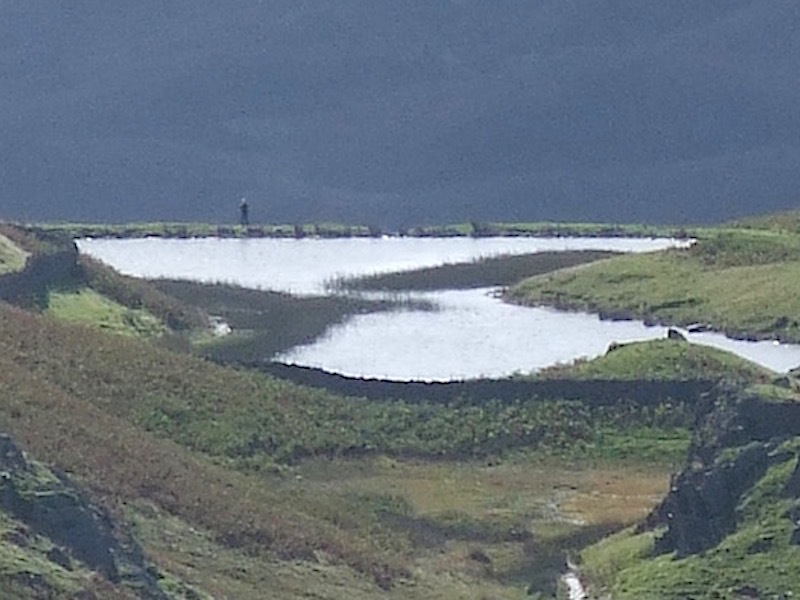 Behind us is Alcock Tarn, the water shimmering in the sunshine. I took a close up shot otherwise it would have just looked like a puddle in the distance. 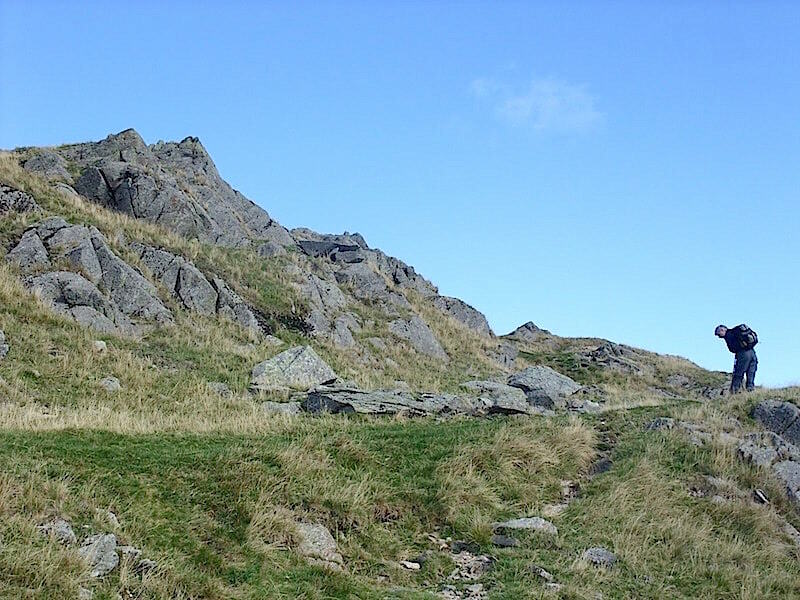 The outcrops at the top of Stone Arthur. 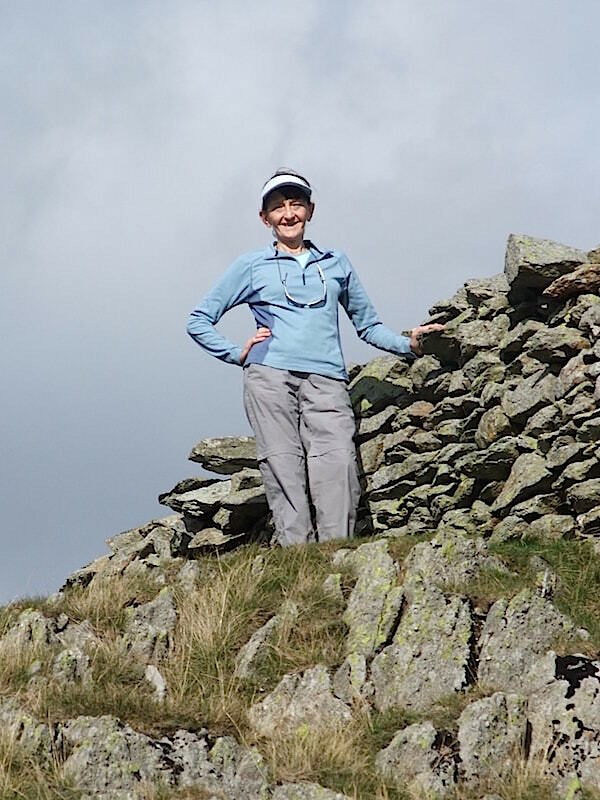 We weren’t able to find anything which would define the exact summit, so we just stood on top of what seemed to be the highest point and made do with that. 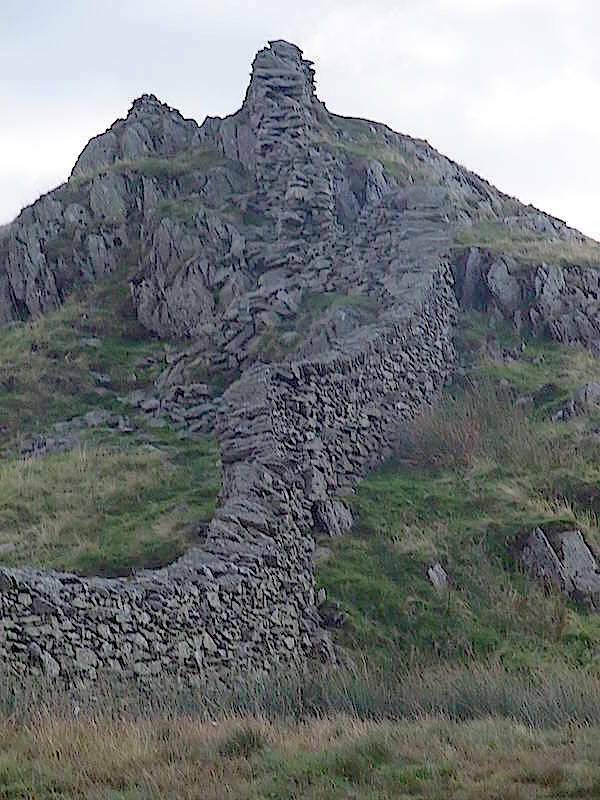 From Stone Arthur there is now a mile and a quarter of steady climbing up to the summit of Great Rigg. Notice the fleece layer is back on plus hat, a cool blustery wind has got up which makes the walking harder than it otherwise would be. 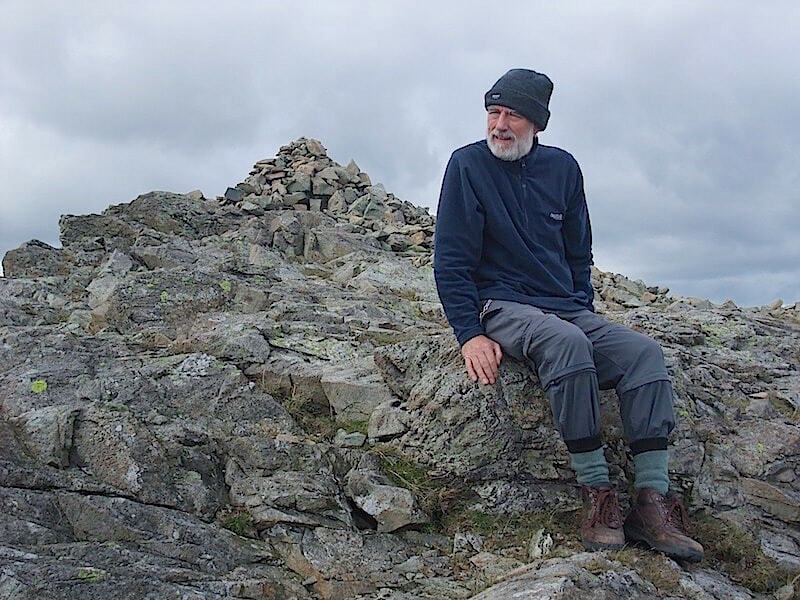 Despite the best efforts of the wind to push us back downhill again we reach the summit of Great Rigg. Looking south from Great Rigg there’s a good view back to Heron Pike and Nab Scar, those are the ones we missed out by coming up the Stone Arthur route. 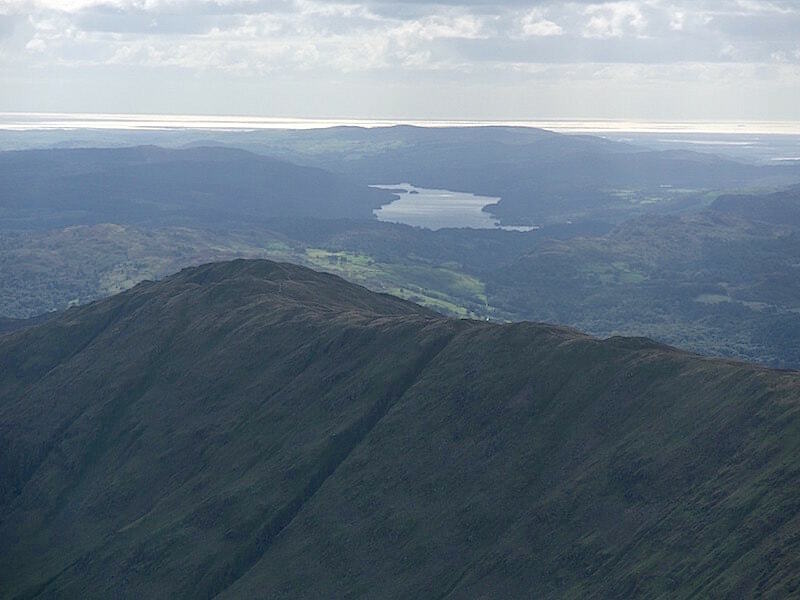 Windermere is just to the left of them and over in the distance are the silvery waters of Morecambe Bay. Looking northwards from Great Rigg showing the route we are taking next, just follow the highway all the way up to Fairfield. As you can see there are loads of walkers doing this route today. Its a good day to be doing it too, the cloud is high and the sun is out . 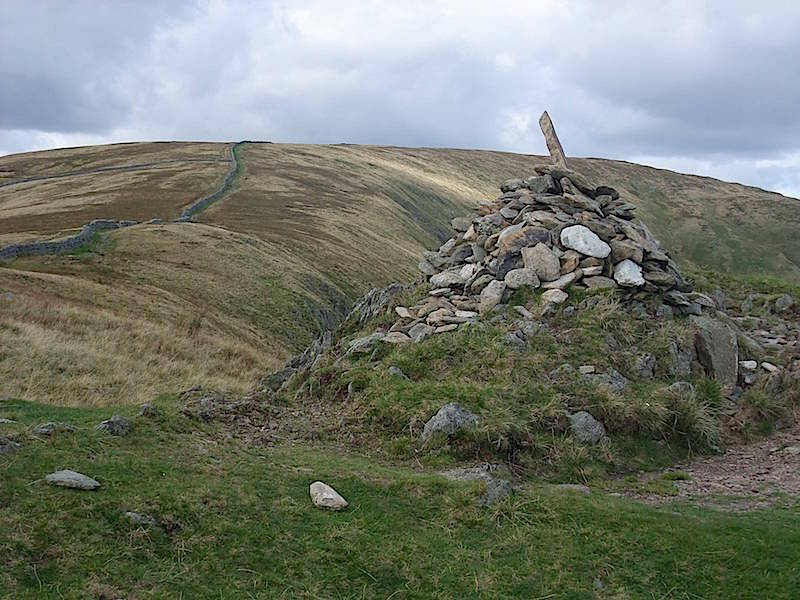 The summit area of Fairfield is what might be called spacious with cairns everywhere, paths going hither and thither and a couple of shelters. The shelter with the best view at the topmost point was crowded today, as were most other spots. It almost looked as if a few coaches had just off-loaded a works outing for the day it was so busy. Oh well, we’ll just find a quieter place somewhere to have our lunch. After lunch we headed off over Rydal Head on the way to Link Cove and Hart Crag, following the super highway once again. 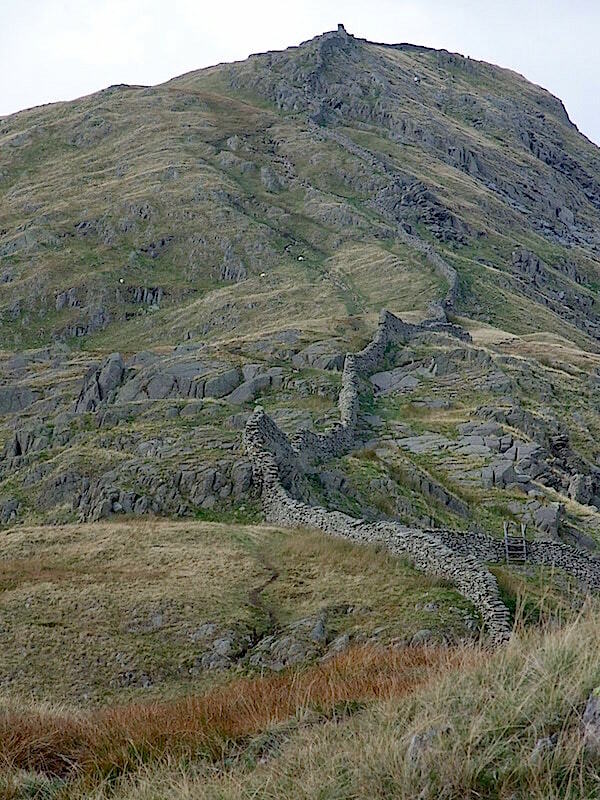 A look across to Hart Crag on the way over to Link Cove. Its a bit rough underfoot in the area around Link Cove. 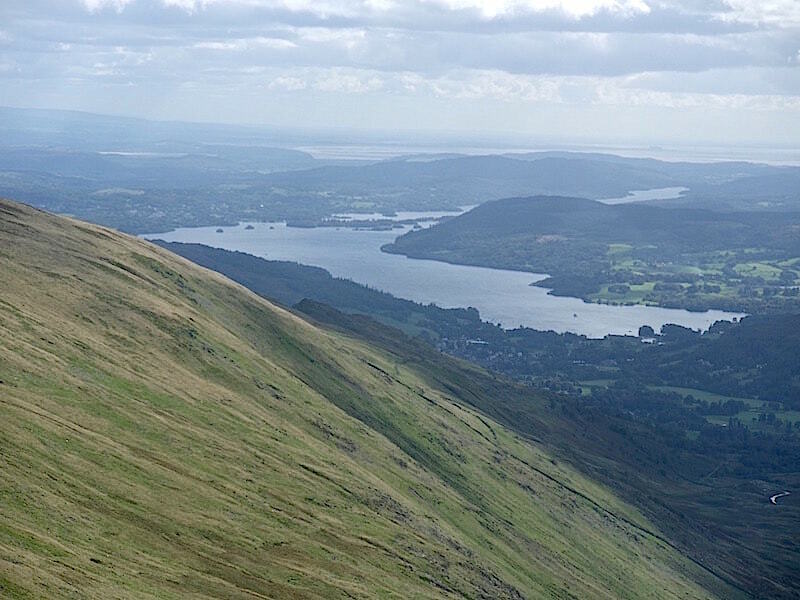 From Link Cove looking across to Heron Pike, on the left, Great Rigg on the right, with Coniston Water and the Coniston Fells right behind them. 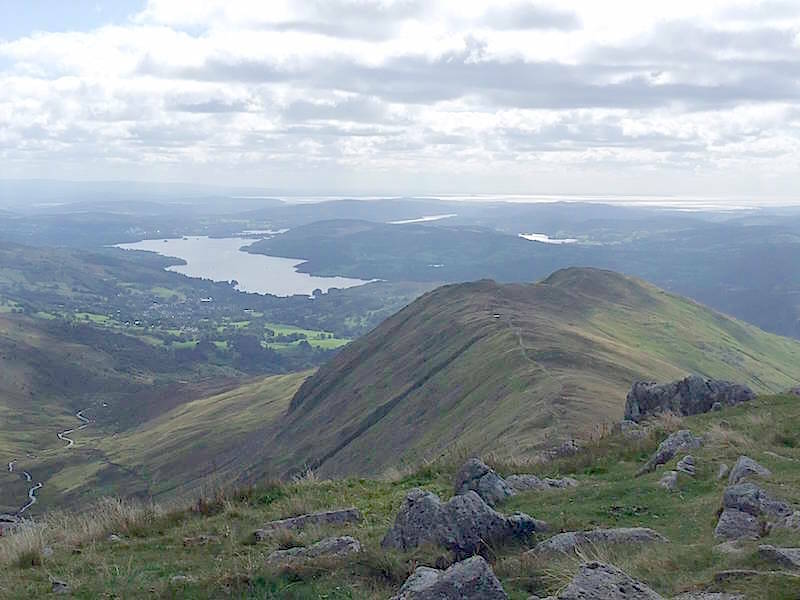 A closer look at Windermere and Morecambe Bay beyond it. Turning slightly to the right for a closer look at Coniston Water. From Hart Crag a view of the next section of the walk over to Dove Crag, with Red Screes behind it. 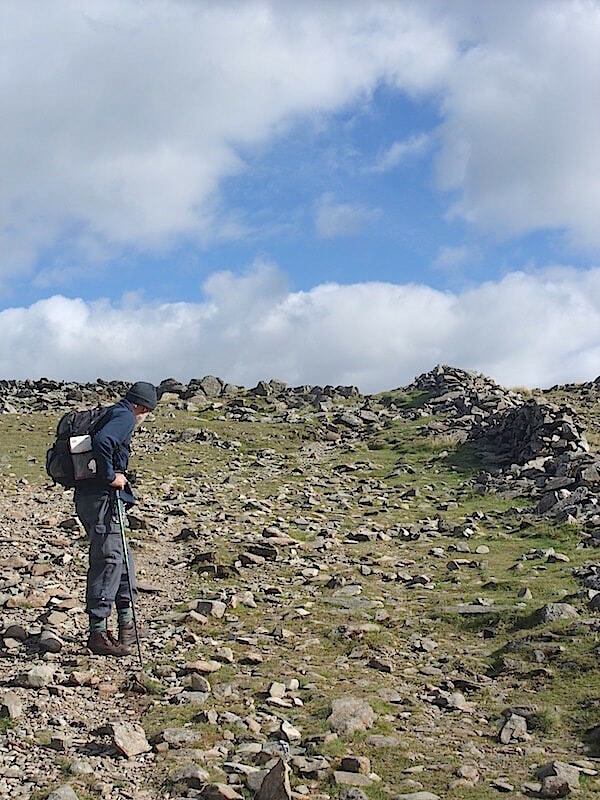 Heading up towards Dove Crag across this very stony path, every one of them just waiting for you to step on them so they can wobble and tip you over. 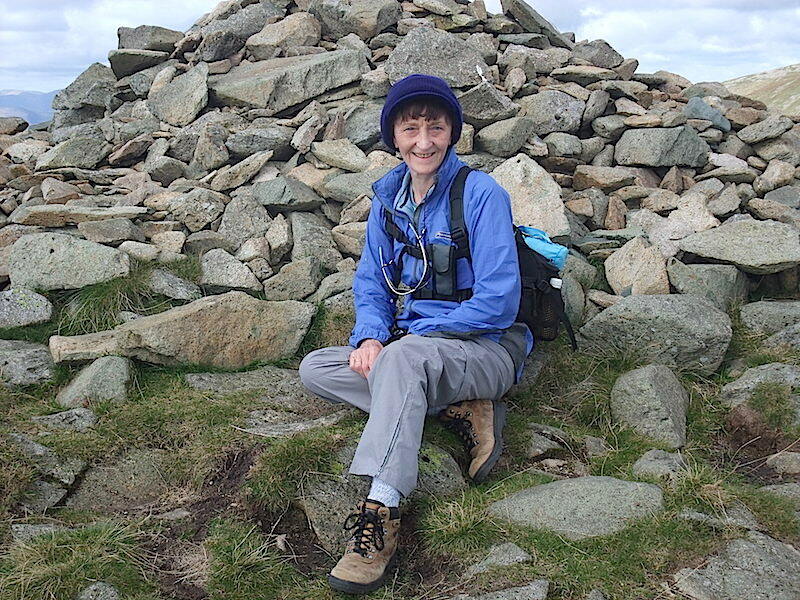 Dove Crag summit, and rather uncomfortable for a sit down by the looks of it. 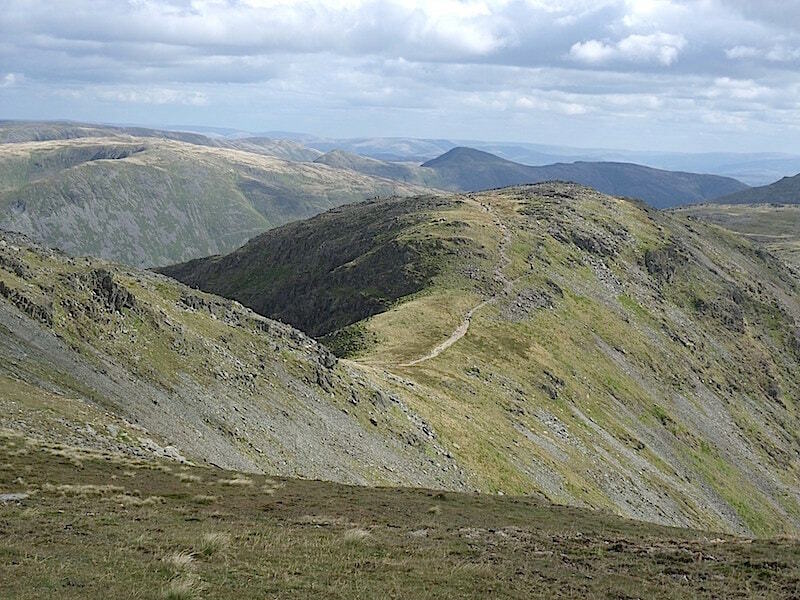 A look ahead to High Pike as we approach it from Dove Crag over, what AW called …..
….. ‘one of the easiest miles in Lakeland’. 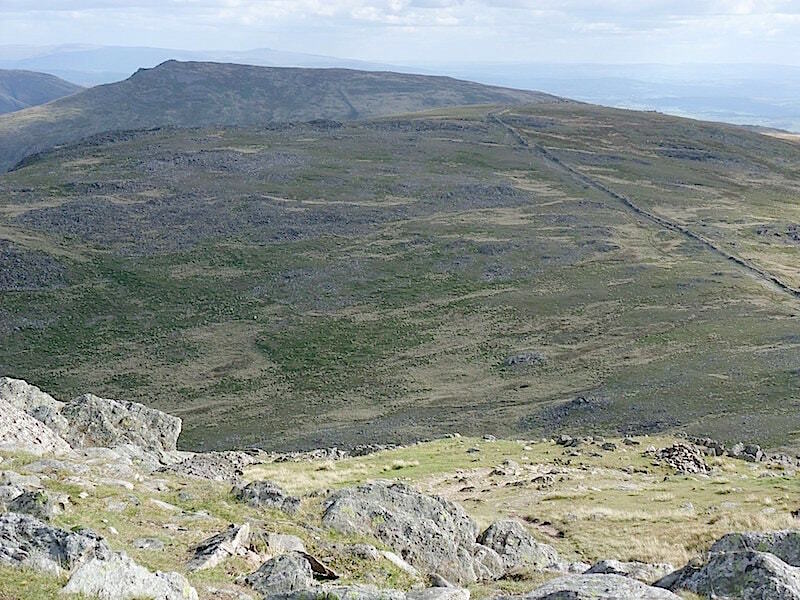 Looking back at the route from the summit of High Pike shows just why he described it in that way. 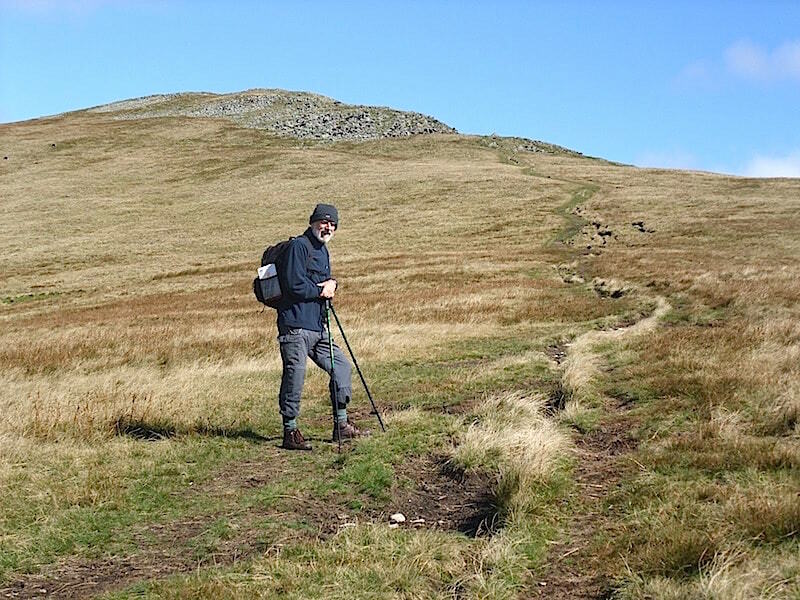 There’s a fine grassy path all the way, no rocky bits and no expanses of marsh, its a joy to walk across it. 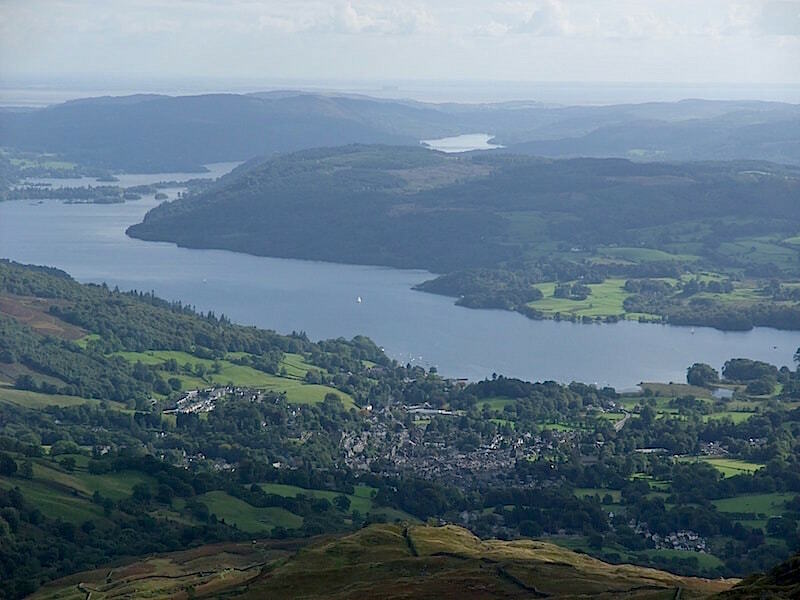 From High Pike summit a bird’s eye view of Ambleside at the head of Windermere. Unfortunately, one of the easiest miles is quickly followed by one of the roughest. 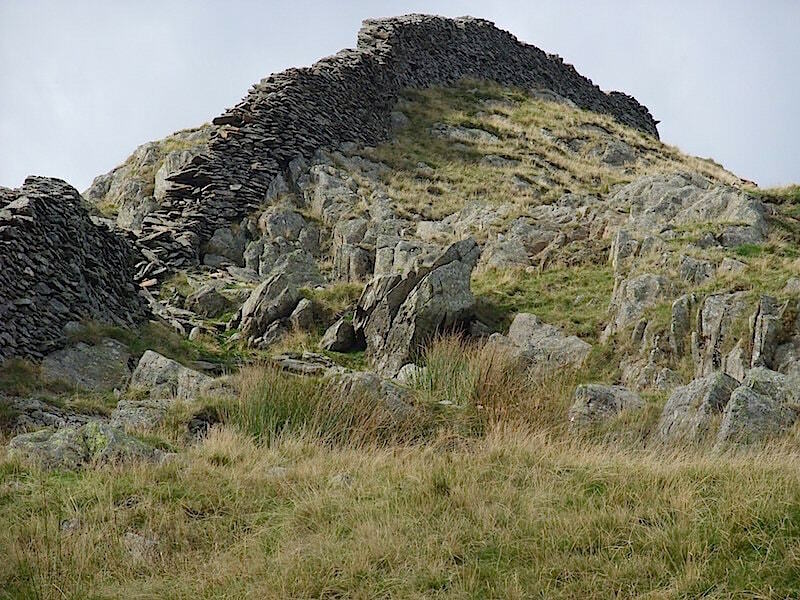 The route from High Pike to Low Pike is punctuated by a series of crags, outcrops and large slabs of bare rock. 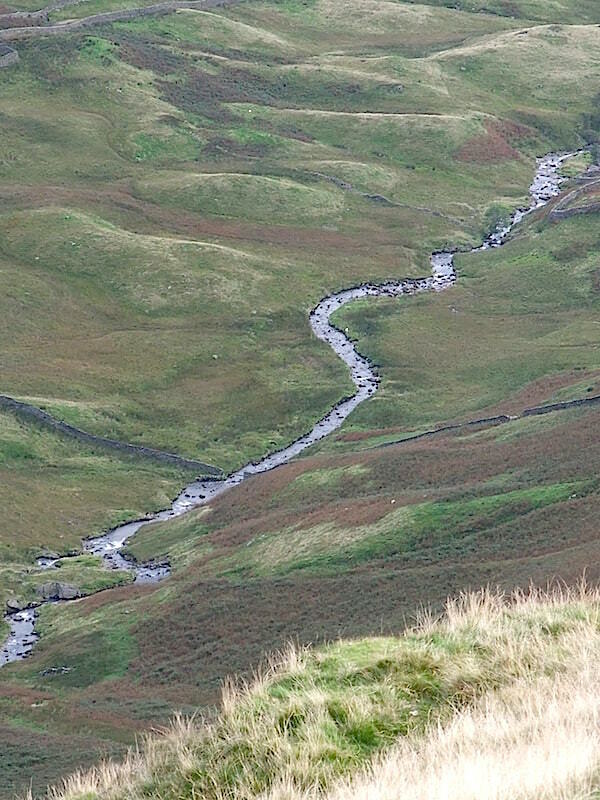 A close up of Scandale Beck flowing through the valley far below us. 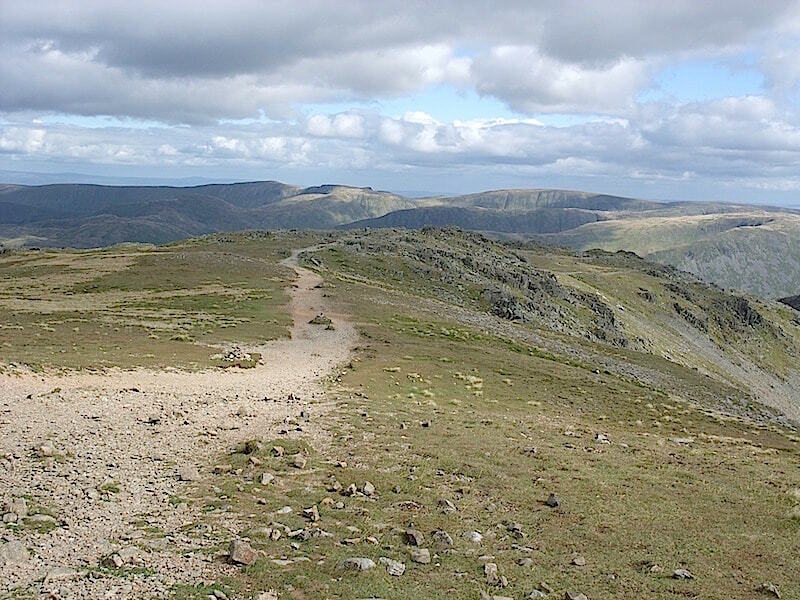 The actual view down into Scandale. We’ve just threaded our way down that particular section. Safely down over another rocky obstacle. 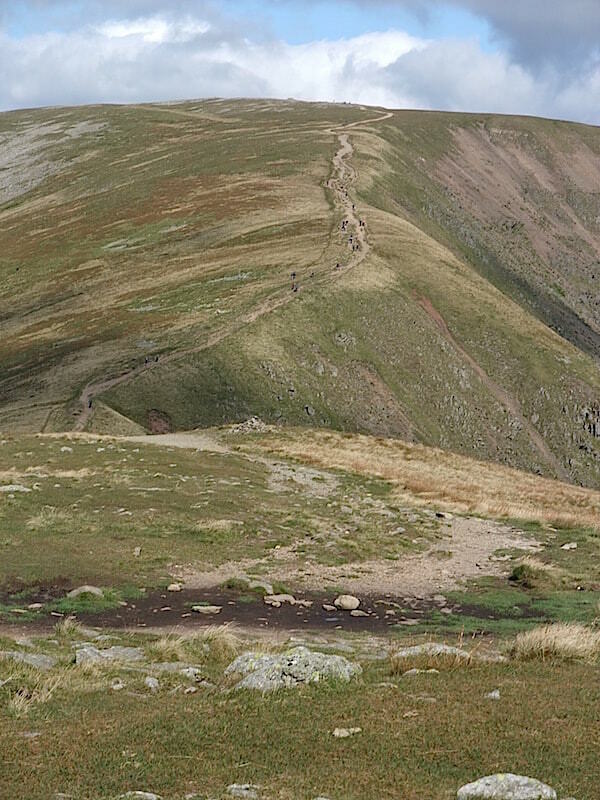 From Low Pike a look back at the tortuous route down. You can’t help but admire the work of the people who built that wall, it must have been tough going at times. 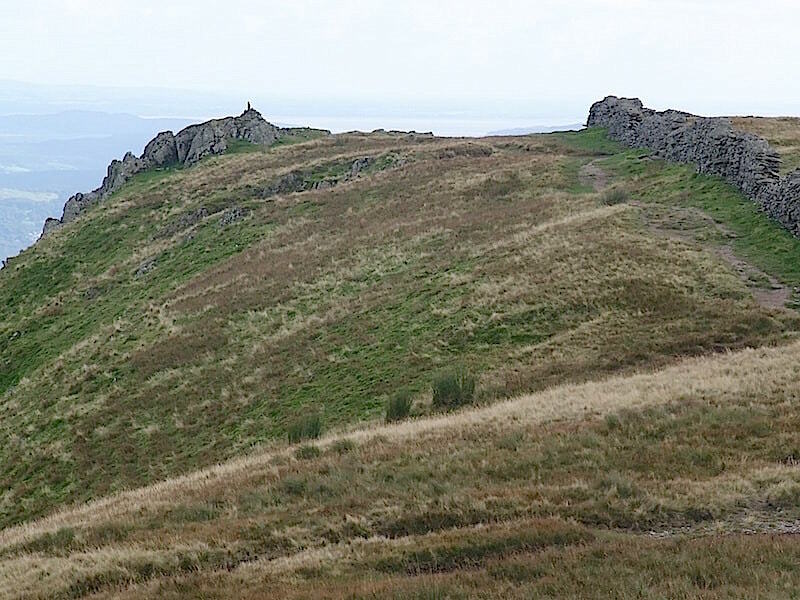 Low Pike summit, or as near as I could get without actually standing on top of the wall which occupies the highest point. 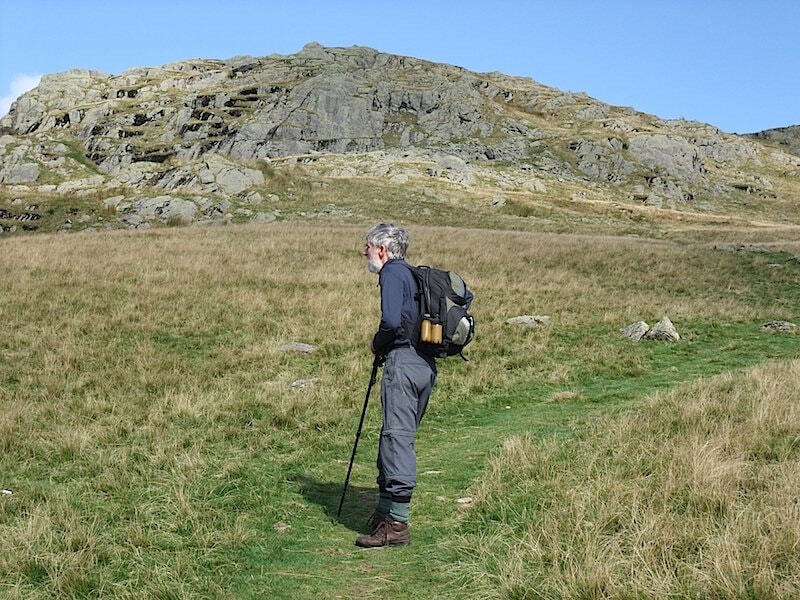 From here there was one more hazard to avoid, an area of very boggy ground, before the calmer, lower slopes back down to Ambleside. 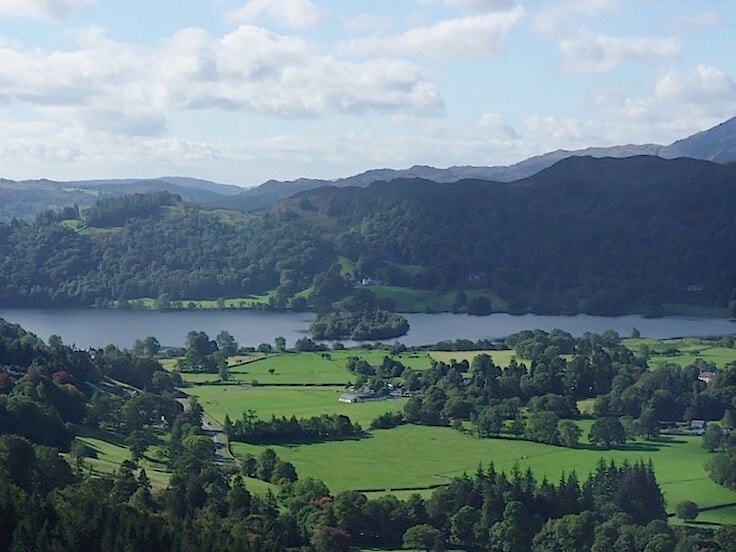 I don’t have any photos of the walk from here to Ambleside, the weather is still good and the wind has gone completely so I can’t explain the absence of photos at all, unless we were busy talking and I forgot. 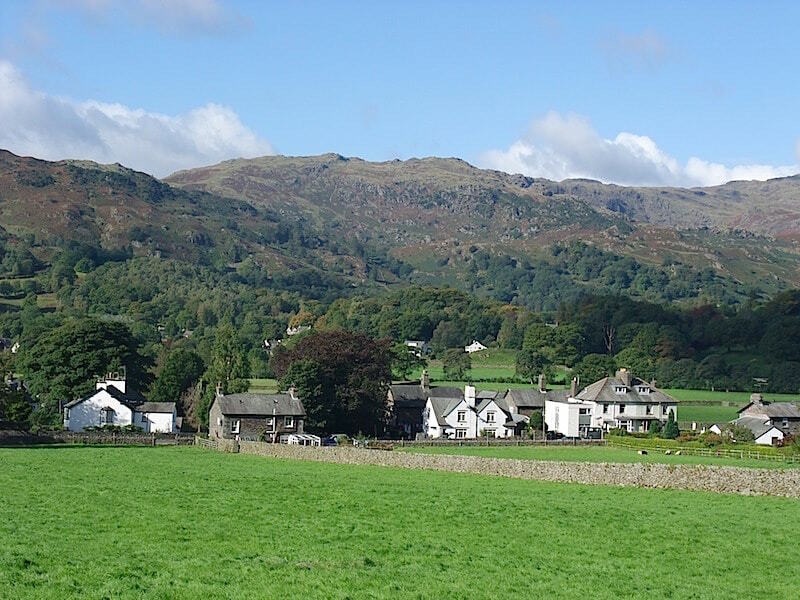 You may have noticed that there are no route arrows between Ambleside and Grasmere, that’s because we didn’t walk back from Ambleside. 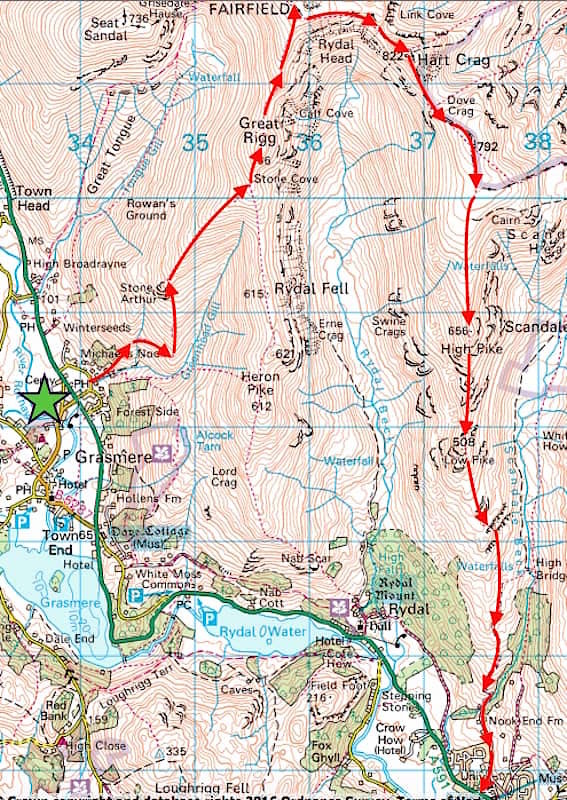 We could have, via the Rydal Hall route, but we decided we didn’t feel like it. Now, shall we get the bus or shall we travel in style and treat ourselves to a cab ride? I’ll leave you to guess which one we opted for.